Although ranking 1st seems nice, your goal with SEO should focus on generating leads and sales. If you’re primarily focusing on reaching the 1st position, you could be ignoring a huge part of the customer acquisition process. Generating leads can require a lot of attention in approaching your target audience without having to spend more money and time spent. Paid search and map listings. Even if you optimize well on the search results, you may still be pushed half way down the page due to paid search and map listings. By focusing your attention on writing captivating page titles and meta descriptions with high-quality content, it will go a long way with people looking for an answer to their query. User Locations. Search results consistently change based on a user’s physical location. This can be a hurdle for someone who is pushing out to be ranked #1. Even if you move a mile north away from the current location, your search results can completely change. Don’t waste your time trying to track this. Legal answers in the knowledge box. 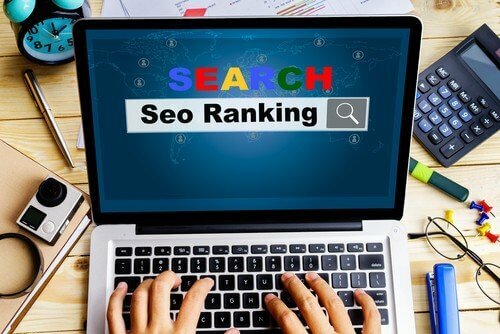 Even if you are ranking on the 6th page, Google recognizes the information that best answers a precise question which could bump your website up to the answer box. The Major presence of the knowledge graph. The knowledge graph is a space on the right side of the screen which delivers information based on the search result. Make sure your business has an optimized Google My Business page to take advantage of this space. Ranking number one isn’t what it used to be. SEO is an ongoing process, so if you want to make your marketing strategy the best it can be, you’ll want to ditch the siloed approach and divide your efforts equally among all parts of your campaign and add valuable content that targets your audience best. There are many major features that you can add that will boost your chance of generating leads, if you are looking to improve your business and finding ways to generate more leads. Get in touch and contact us at (857) 526-0096.